Welcome to our website! We are one of the top rated Bucks County Tree Service companies and we specialize in caring for earth’s primary oxygen source. Trees, flora and fauna are our passion and life’s devotion. We are fanatics for trees but also recognize when they have neared the end of their life cycle and must be cut down. Our six arborists on staff can determine when a tree can be repaired or removed. Since 1978 we have proudly serviced the Bucks County community at large. We welcome the opportunity to lecture at your local gardening association or school. It is our goal to spread the word about nature’s most important life source and care for your trees in the process. Professional arborists are not born overnight. The journey begins with an innate interest in all things green. At Bucks County Tree Service, we are all outdoor enthusiasts. We have made it our life’s mission to know everything under the sun about bark, trunks, tree diseases, soil, roots and tree health care management. All of this knowledge makes us the best in the business. We are the type of tree huggers that you want caring for your trees. We are well respected in the Bucks County community and promise not to charge you for unnecessary services. Unlike a hairstylist that get ‘scissor happy’, we vow not to prune your gorgeous tree beyond recognition. What Tree Care Services are you needing? When you break your arm, you need a cast. When you’re not feeling well, you may need to take medicine or see a doctor. The same philosophy applies to trees. 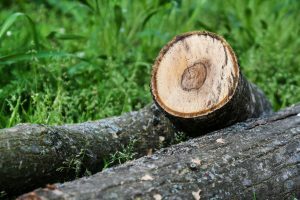 If your tree’s limb cracks or breaks, Bucks County Tree Service may be able to save it depending on the level of damage. 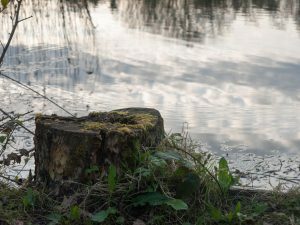 If you notice your tree declining or its leaves are an unusual color, an experienced arborist can create a fertilizing compound to nurse it back to life. Our arborists are trained to nurture your trees but remove them from your property when necessary. Contact us today for a complimentary quote. During hurricane season, huge oak trees are hurled toward buildings and cars. 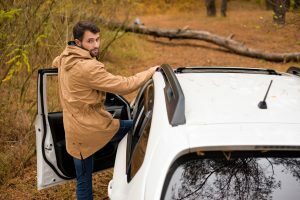 When the storm subsides, contact Bucks County Service to remove trees that may have found their way into busy intersections or the roof of your house. 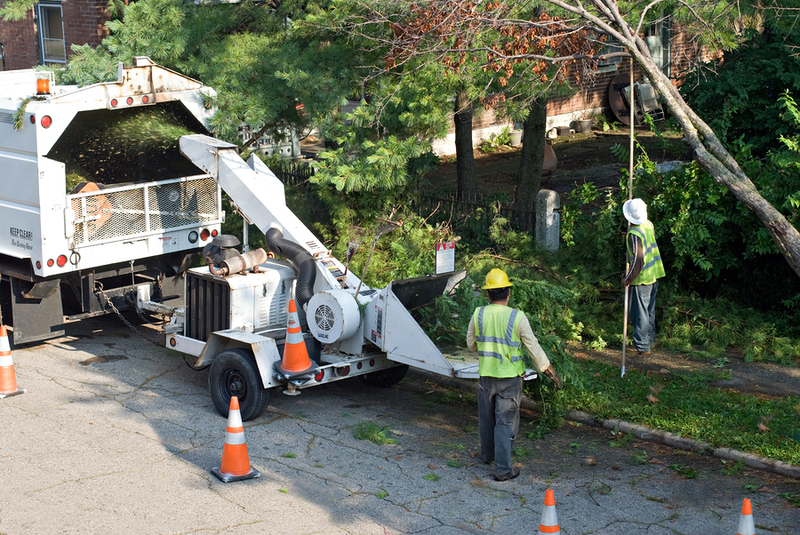 We remove trees that pose a threat to your home or business. Our skilled arborists are able to remove diseased and dead trees as well. We are the best tree removal service in Bucks County. Contact us with the details and we can arrive within the hour for a free estimate. Did you acquire a new home on a sizeable plot of land? If so, contact Bucks County Tree Service to conduct a complimentary tree evaluation. We will be able to determine if the trees were cared for properly and in need of tender loving care. 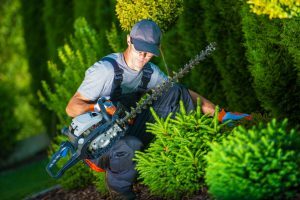 Our expert arborists will also be able to point out any ill or dead trees that may infect others. If the house has been vacant for a while, a proper tree trimming may be in order. Your stumps can be transformed into home accessories, mulch, dust and firewood. Bucks County Tree Service possesses the high powered equipment to grind multi-trunk stumps with extensive root systems. Believe it or not, we do it all via remote control. This way, injuries and property damage are minimized. 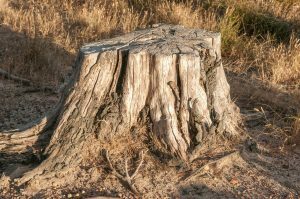 Let your arborist know if you’d like us to transform your stump into something you can actually use. We’d be happy to do it for you. 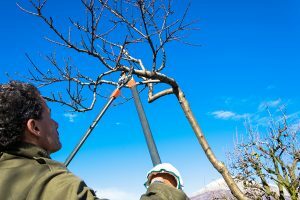 When your tree doesn’t flower or sprout leaves at the rate it used to, that’s usually a sign that your tree is in need of a good pruning. 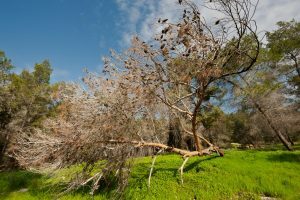 Most people misdiagnose the situation and assume that the tree is dying. 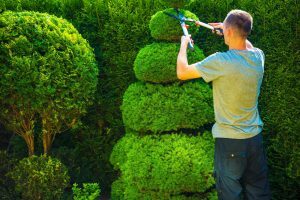 Just like the hair on your head, your tree grows best when trimmed and pruned. The arborists at Bucks County Tree Service possess the tools and skill to prune your trees back to life. Contact the best tree removal service in Bucks County, PA. Our professionalism and expertise is unsurpassed. Whether you are in need of an in depth consultation or tree removal, we are the tree experts for the job. Our skilled arborists are swift and exact. You don’t have to worry about our team injuring themselves on your property because we always follow appropriate safety precautions. We’ve made it a point to invest in intelligent forestry equipment in an effort to operate more efficiently. Our arborists also stay abreast of new industry standards by attending workshops sponsored by the International Society of Arboriculture. A drunk driver collided into the tree in your front yard. It was already dead, so it didn’t take much for it to fall. Not only did it fall, but it landed in the middle of the street, impeding traffic. It’s time to call Bucks County Tree Service.We can reach you in a matter of minutes because our office is located in Bucks County. Our arborists reside nearby just in case we are called to an emergency in Bucks County and need to arrive within the hour. Contact the best tree removal service in Bucks County, PA. Our professionalism and expertise are unsurpassed. Whether you are in need of an in-depth consultation or tree removal, we are the tree experts for the job.